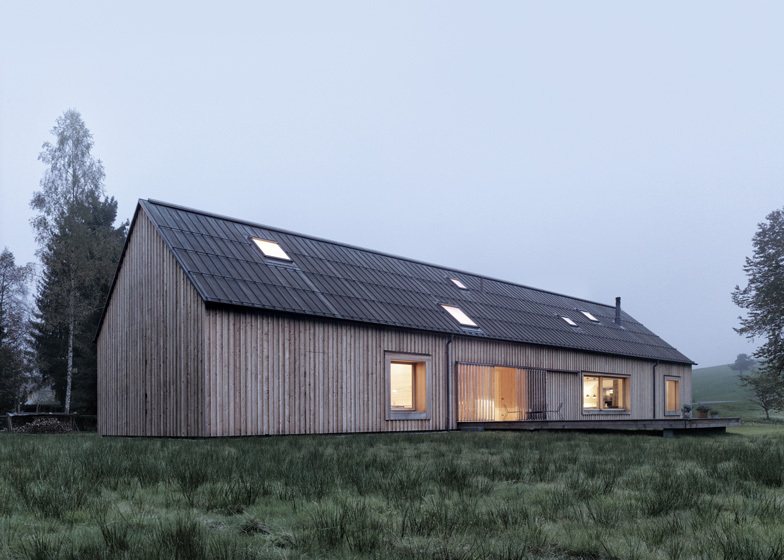 Bernardo Bader Architects used locally sourced spruce, fir and elm to clad the interior and exterior of this rural cabin in Lower Austria (+ slideshow). 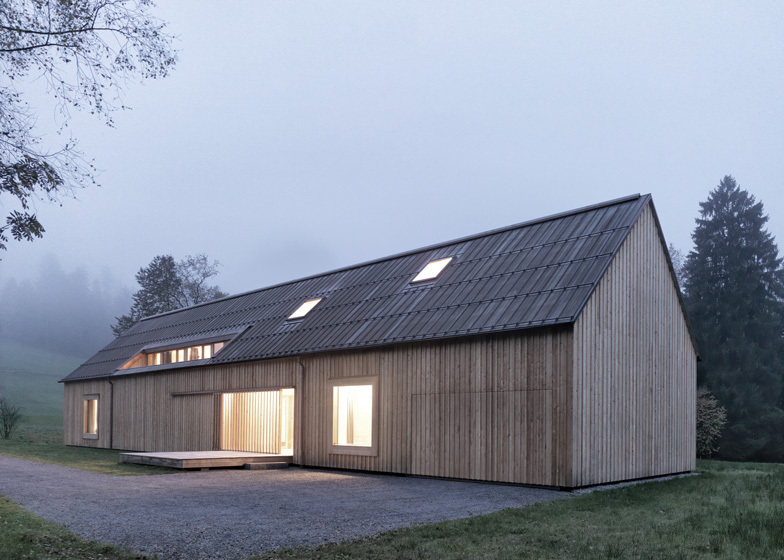 Based on the traditional houses of the Bregenz district, the two-storey residence has a simple rectangular plan with a steep gabled profile and a wooden deck driven through its middle. 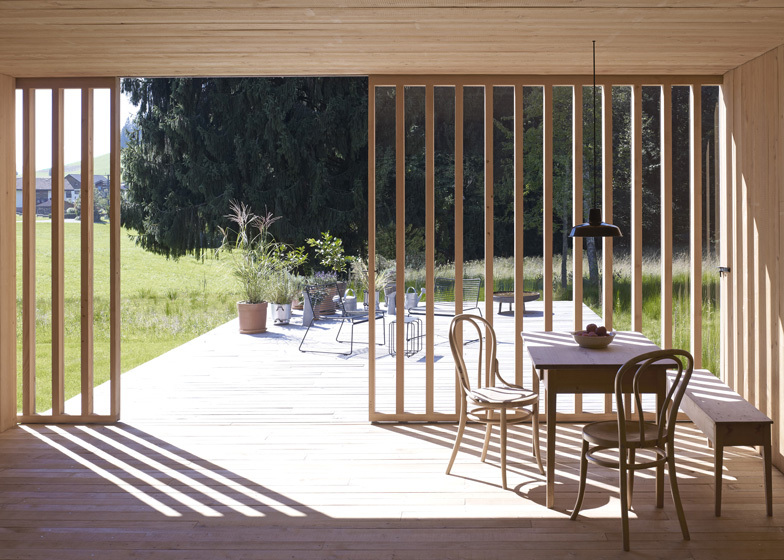 Austrian studio Bernardo Bader Architects used 60 trees to produce all the wood needed for the house with minimal waste. As well as the walls, the timber provided material for doors, flooring and also some of the furniture. The structure of the building is concrete, which reveals itself on a selection of walls and ceilings to contrast with the light tones of the wooden surfaces. Living and dining areas occupy the largest side of the ground floor. A wood-burning stove creates a central hearth. Additional heating is generated from a ground-sourced heat pump. A home office sits on the other side of the deck, alongside a garage with room for two cars. Bedrooms and a children's playroom are located on the floor above. 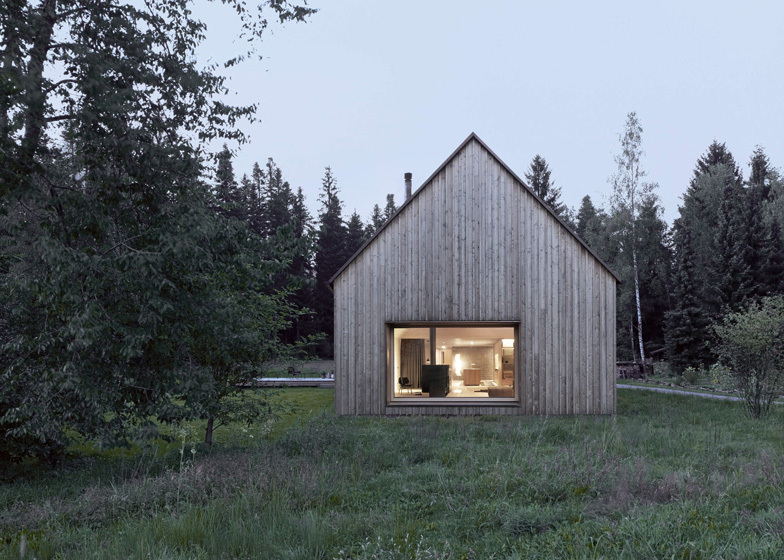 Entitled Haus am Moor, which translates as "House on the Moor", the cabin is situated near the market town of Krumbach. 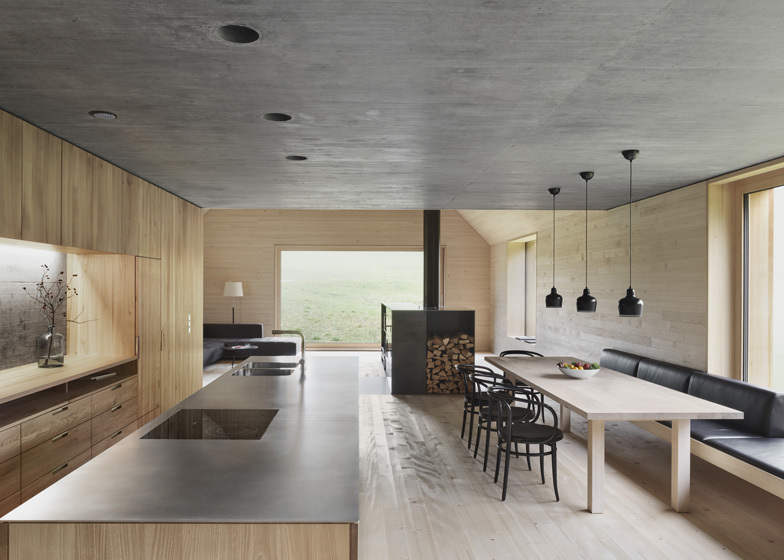 Other recently completed residences in Austria include a boxy concrete house in the mountains and a wooden house that appears to climb down a hill. See more Austrian houses on Dezeen.